It was my birthday on Wednesday, and Companies House sent me a present: they moved to GOV.UK that day. 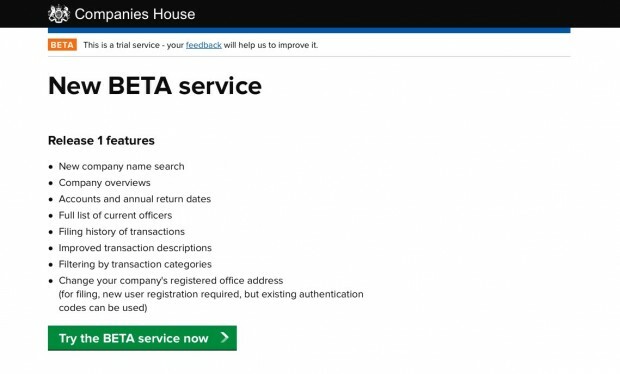 It's been a good week for them - on Tuesday, their new beta service passed its assessment against the Service Standard. Well done to all involved. Most of my recent posts here have been about visits to our exemplar projects up and down the country. 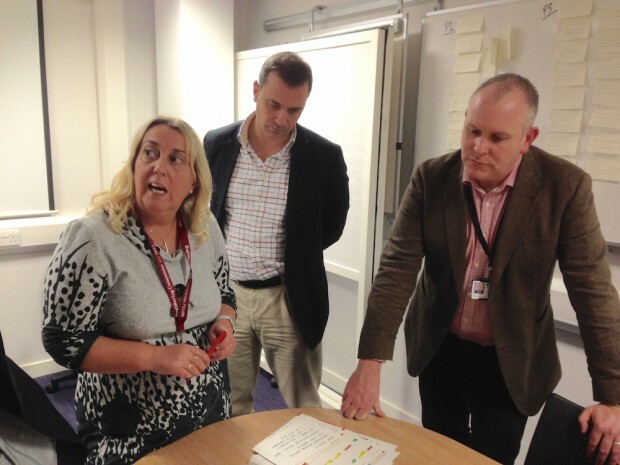 Companies House is not one of them, but I happened to be nearby last week, and took the chance to spend a couple of hours with Chief Executive Tim Moss and Chief Digital Officer Gareth Lloyd. They took me on a guided tour around an organisation that's under the radar but doing a terrific job. Companies House has been re-inventing itself for years now - they started back in 2006 - and they're well on the road towards becoming an entirely digital operation. What it gives you is a beautifully designed summary of public information about that company: its status, registered address, names of directors and secretaries, and a list of filing dates. 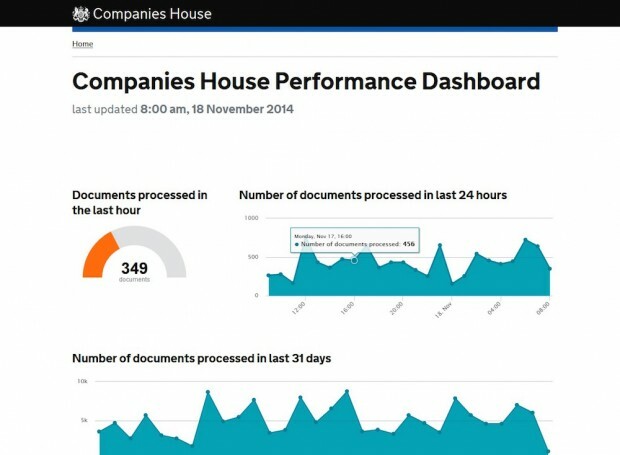 It’s an impressive start on an important digital service, and a vital part of the work being done to prepare for making all Companies House digital data free to access next year. Head of Customer Insight Sara Ball and Design Manager Helen Hourihane showed me some of the data they're using to drive decision making. "We've got a really good analytics API, which means we can see what pages are causing issues," Helen said. There’s another project known internally as Ewok - short for Electronic Workflow. For all its success at digitising its business, Companies House still handles a lot of paper - 1.7 million documents this year. That's 120 tons. You can still see piles of documents on trollies. But rather than leave the paper side of things languishing and slowing things down, they're investing in technology to make the paper handling as efficient as possible. They've built up an impressive scanning and OCR system that's reduced the workload of the examiners - the people whose job it is to check details on incoming company accounts and make sure they're accurately entered into the database. One of those examiners, Dan Reed, showed me the old process and the new process side-by-side. The new one was much quicker. "Ewok is so much better for us," he said. As a result of these changes, examiners work faster and more efficiently, and they can work from anywhere. Now some of them can work from home if they wish. Companies House is small, in government terms, but doing some amazing work - they're a model for a digital department or agency. In nearly every part of their operation, they're ahead of the curve: they've brought technology in-house - there are no huge system integrators doing it for them. They're making good use of their data, using open standards, reducing the paper processing burden, hiring technology and digital experts locally, simplifying due diligence, and investing in digital leadership. 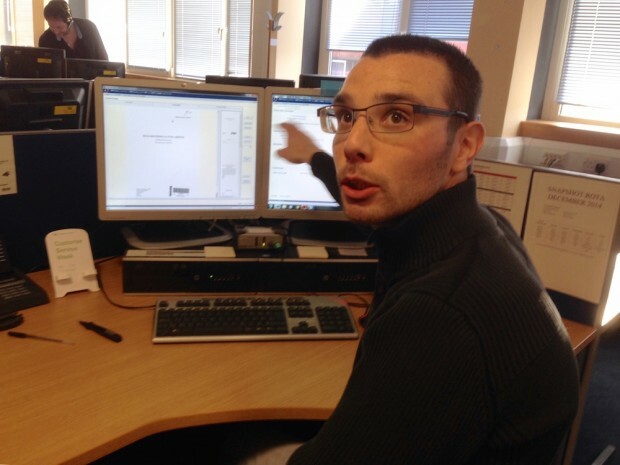 Where Companies House is a model agency, Tim Moss is a model digital leader. Other government agencies should follow them. One more thing: we need to build a community of trust within government. Companies House shows how government organisations should become suppliers and consumers of services and data. Not just with the outside world, but with and between one another. There will be dozens of platforms necessary to put government as a platform into action, and it will be teams like this one that build them.